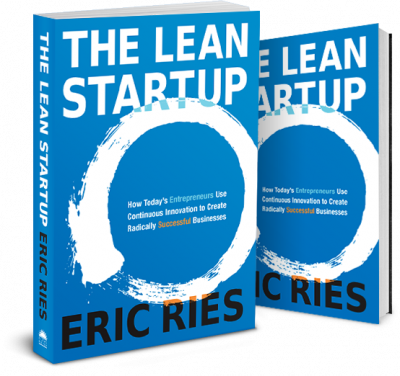 The Lean Startup by Eric Ries has become one of the ”must reading” on entrepreneurship environment. This book shows in a practical way the methodology proposed by Ries to decrease the start-ups failed to rate. With a fresh style and a lot of examples, the reading could represent a drastic difference for those involved in startups ecosystem. 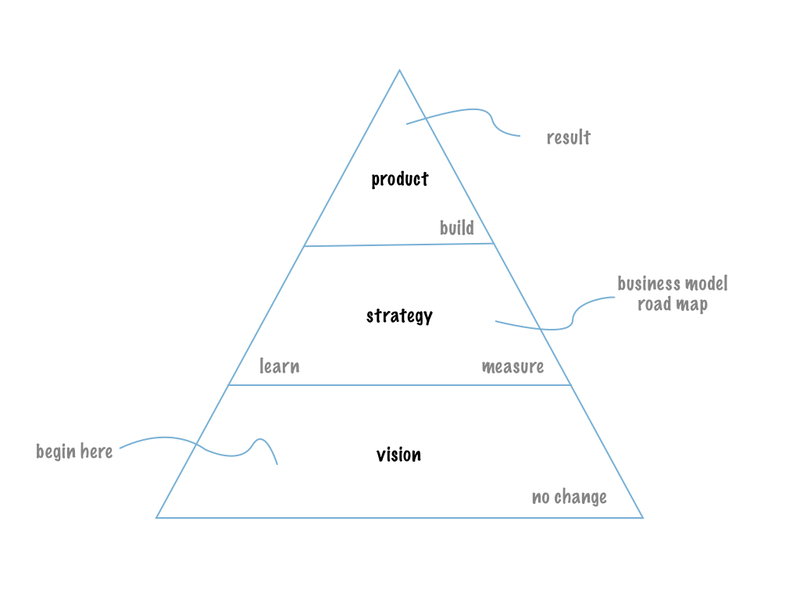 I’ve made this compressed text to understand what about The Lean Startup is. «Stop me if you’ve heard this before: brilliant college kids sitting in a dorm are inventing the future. They build a new company from the scratch. The early success allows them to raise money and bring an amazing new product to the market. They hire their friends, assemble a superstar team, and dare the world to stop them» is like the book begins, catching our attention immediately. Is divided into 3 sections: vision (start, define, learn, experiment), steer (leap, test, measure, pivot) and accelerate (batch, grow, adapt, innovate). The ”official” definition of startup in the book is a human institution designed to create new products and services under conditions of extreme uncertainty. We live times where there are more entrepreneurs operating than any previous time in the history. We can see the loss of manufacturing jobs in EU and in the world. People are going to knowledge economy supported by the accelerated technology changes and innovation. The Lean Startup takes its name from Lean manufacturing, focused on knowledge, creativity individual workers, batch sizes, just in time, inventory control and development cycle times. The goal of any startup is to figure out the right thing to build, the thing customers want and will pay for «as quickly as possible» Too many startup business plans look they are planning to launch a rocket ship than driving a car, the point is kept it simple, practical and fast. All begins with a vision, where do you want to be? What do you want to change? What is the ideal scenery expected? The vision mustn’t change. The next is the strategy, how do you will go to the end? Here is where you must take the partners opinions about where the customers will be. Here is where you develop a business model and road map. And at the end, yes, at the end is the product, the result. This model is iterative around the build-measure-learn loop, where you have the opportunity to validate your idea and the specific aspects of it. Entrepreneurs are visionary, they can see the future of their industries and are prepared to take bold risks. Before going to the startup, you must to be prepared, the pre requisites are a proper team structure, good personnel, strong vision of future and appetite for risk taking. Innovation is the heart of a company success and can be in two ways: sustaining or disruptive. Learn, is the essential unit of progress in start-up, no more the oldest excuse to failure. Ries defines a concept named validate learning, which means that every assumption of your product, market, or strategy must be validated. This validates learning open the door for “experiments”. 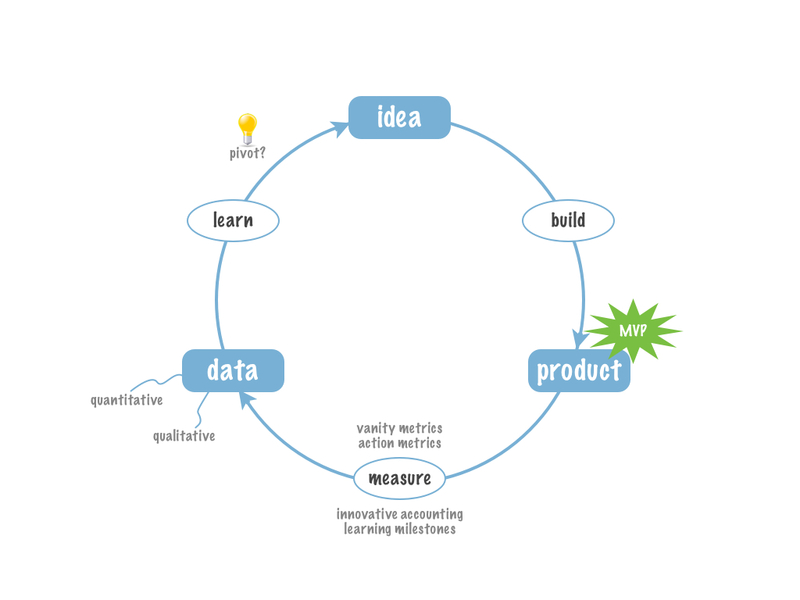 Based on the scientific method, the Lean Startup uses experiments to validate everything. Every experiment is based on a hypothesis (scientific method), and the hypothesis is based on theory. The theory is divided in two: facts proved stuff around your idea, and assumptions, what you think about your idea, but without prove of it. The most important hypothesis is the «value hypothesis» and «grow hypothesis». The first is about the value of your product for clients, is trying to prove if your prospected customers really want to pay for your product. The second is about how you will go to take e the most of users or clients. Every experiment is a product or part of it. Here is where our MVP ( Minimum value product ) appears. About the learning and MVP definition, there is a mention about the philosophy Genchi Gembutsu: the right place at the right time. Get out of the building and start learning. The MVP, even be developed with minimum resources, mustn´t forget quality and design, the two most important factors for user eye and experience. For metrics, the book proposes to avoid the vanity metrics, yes that total numbers that we use to make reports for our own smiles. Instead, you can use de <<cohort analysis>> a kind of chart focus on a group of customers and its conversion rate. The metrics must be actionable, accessible and auditable. One form to get feedback is the split test, an exercise where you can send one version of the product to the half of your users and another version for the other half. Measure the reactions and validate differences. Another tool that can be used for team and activities management is the Kanban. Kanban is based on four statuses for every activity: backlog, in progress, built and validated. No more than 3 per bucket. When to do it? When <<decreasing the effectiveness of product experiments and the general feeling that the product development should be more productive>> before making a pivot, you must to be caution don´t be using vanity metrics (own reality), have an unclear hypothesis or be afraid. Once you have something, is common to think the work is done, but no. Is time to <<start the engine>>, how do you will grow. See which activities create value or waste. You have 3 options for an effective engine of growth: be sticky, viral or paid, all this until you find the product/market fit. That point where the people who want you and your product meet each other. The innovation is fundamental, you must think “out of the box”. Are 3 aspects of caring about it: innovation needs secure resources, autonomy and personal stake in the outcome. Eric Ries, author of the book is de CTO & Co founder of IMVU, his third startup. He writes the blog “Startup lessons learner”. All this culture around the entrepreneurship is exciting, is a possibility for many people to get their dreams done, to change the world and to make a better future.